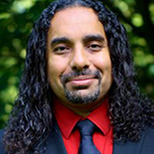 Ramez Naam is a computer scientist, futurist and award-winning author of four books, The Infinite Resource: The Power of Ideas on a Finite Planet, More Than Human: Embracing the Promise of Biological Enhancement, Nexus and Crux. He spent 13 years at Microsoft, where he led teams developing early versions of Microsoft Outlook, Internet Explorer and the Bing search engine. His career has focused on bringing advanced collaboration, communication and information retrieval capabilities to roughly one billion people around the world. His work has appeared in, or been reviewed by, The New York Times, The Wall Street Journal, The Atlantic, Wired, Scientific American and more. He’s a graduate of the University of Illinois at Urbana Champaign and the Illinois Mathematics and Science Academy at Aurora Illinois.